Soundproof Cow offers a variety of other acoustic foams that provide the proper sound absorption solution for a number of different applications. 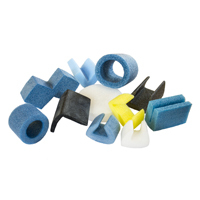 Our products range from buoyancy foams to packaging and shipping foams and everything in between. We also offer expandable foams that can be used to fill the nooks and crannies where sound may creep through. No matter the noise, we can soundproof it with all kinds of acoustic foam and sound absorption materials. Buoyancy foams: Acoustic buoyancy foams are used in a range of marine and related applications where soundproofing and flotation are required in tandem. Install them below deck to keep a ship afloat while reducing noise, or on a floating dock. Our main products include Ultra Foam, a closed cell acoustic buoyancy foam that is lightweight and offers low moisture absorption and excellent thermal insulation. 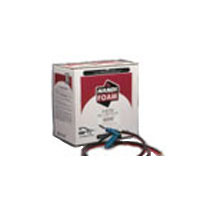 Also available are our rigid foam buoyancy billets, which are typically used for filling voids and improving flotation in docks, decks, boats, rafts and other vessels. Expandable foams: Even with the best insulating materials, unwanted sound can creep in through door sills, A/C vents and small cracks in walls and ceilings. That’s where our expandable acoustic foams come in. Our products are specially formulated to quickly fill in unwanted gaps and spaces. Our main product is a two-part urethane foam that expands instantly and can be used with any polyester, epoxy, or vinyl ester resin. Extruded safety foams: Extruded acoustic foams are an affordable way to close sound gaps, absorb unwanted vibrations and improve the overall integrity of a soundproof space. Use them on sharp edges, ceiling beams and other common structural features. Several shapes and sizes — including corner padding, edge padding, post foam and other configurations — are available. 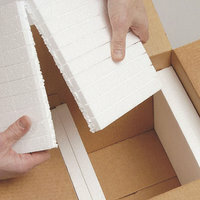 Packaging and shipping foams: In addition to our acoustic foams, we also sell packaging and shipping materials that protect delicate items while in transit. Both regular and anti-static products are available — both of which are excellent choices for transporting delicate microphones and studio equipment, electronics and other sensitive items. For detailed information about individual product specs and potential uses, follow the links on this page. 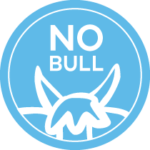 You can also contact Soundproof Cow directly and have one of our knowledgeable representatives recommend the ideal product for your needs.